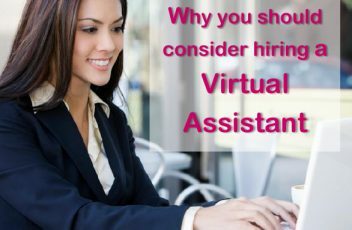 So what is a Virtual Assistant anyway? Do one thing at a time! In today’s modern, fast paced & technology driven world, we are overloaded with information & are trying to do too much at once. Remembering to focus on one task at a time can increase productivity & decrease stress. 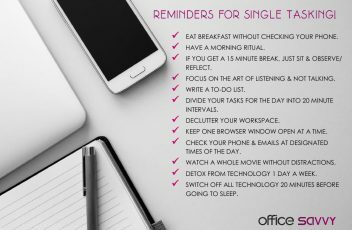 Here are some reminders for single tasking. We are proud to launch the Office Savvy website showcasing our innovative virtual office administration & support business. 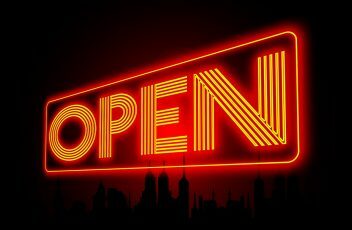 We’ve spent many months planning to get to this point but we can now shout from the rooftops…’WE’RE OPEN FOR BUSINESS’! 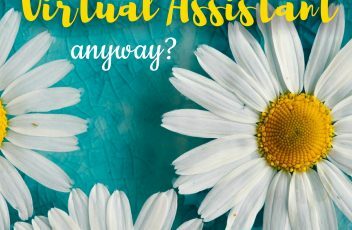 At Office Savvy we are organised, friendly, efficient and most of all, we love everything ADMIN! Our team of office experts are dedicated to making your life easier. Together let’s revolutionise the way administration gets done!